You did it, your book is finished! It’s a moment worthy of celebration. But if you have dreams of finally setting your laptop aside for a while, it’s time to think again: In today’s book world, the reality is that you’ll be busier than ever, looking for online ways to market your book. This is the next step for the savvy self-publisher. In this ongoing blog series we offer genre-specific advice on selling your book on social media. Today, we focus on Christian fiction. When it comes to Christian fiction, there are countless groups with a devotion to the genre. Your task is to find these forums and engage with them. When using social media, it’s important that members feel you are a dedicated participant, not someone solely interested in promoting your book. So you will need to join in the conversations going on in each forum. Once you’ve established yourself, you can let members know of your book, even giving out special offers and so on. https://www.facebook.com/groups/AvidChristFicReaders/ (7,444 members) Titled “Avid Readers of Christian Fiction,” this is a page for readers of Christian fiction to share their excitement about books. This will give you a good idea about what excites this group of Christian fiction readers and allow you to connect with other readers. It is not a promotional group, so be sure to tread lightly; don’t dive in with self-promotion, although once you are an established member, you can talk about you book in conversational ways. https://www.facebook.com/groups/christianfictiongathering/ (3,642 members) “Christian Fiction Gathering” is for those who enjoy reading Christian fiction. If you’re an author and would like to post book promotions, feel free to do so. The members love books! https://www.facebook.com/groups/154066354631376/ (1,786 members) Titled “Christian Historical Fiction,” this page is a gathering place for readers, authors and lovers of Christian historical fiction to discuss the latest and upcoming titles, as well as “our never ending To-Be-Read piles”…Self-promotion is allowed here. https://www.facebook.com/groups/300903439978137/ (1,800 members) Titled “Christian Fiction Fans,” this is a place for readers and writers of Christian fiction to connect. Writers are free to promote their books here. 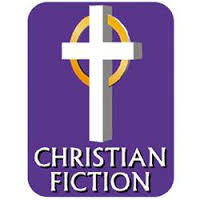 https://www.facebook.com/groups/christianfictionwriters/ (1,598 members) “Christian Fiction Writers” is a place for writers and readers of Christian fiction to connect. Book promotion is allowed on designated days. https://www.facebook.com/groups/717625294960109/ (8,957 members) “Christian Books and Authors,” is open to any Christian author, publisher or bookstore that would like to review, announce or advertise Christian books. Special sales, book signings and promotions related to Christian books are OK to post. https://www.facebook.com/groups/christianindiebooks/ “Christian Indie Books” is a promotional group for books written by indie authors. All posts must include a list of places where the book can be purchased. Remember to use hashtags. These can make a huge difference in how many people see your tweet. A hashtag is used to show what the post is about or related to, preceded by the pound sign (#books, #christianfiction, etc.). Each hashtag has its own Twitter “address” so people interested in Christian fiction, for example, might simply visit #christianfiction and look at all of the posts with this hashtag. Using multiple relevant hashtags, while not going overboard, is paramount to a successful Twitter presence. If you’re offering a Kindle deal for your book, be sure to add the hashtag #kindledeals, as many readers look there for inexpensive books. Pinterest is a site of virtual bulletin boards. Each board is theme-based. You can find boards on everything from bathroom remodels to Indian recipes to every kind of Christian book imaginable. The site is used for sharing information, but too much self-promotion is frowned upon. So, when you set up your Pinterest board, you may want to set up a board devoted to a larger topic, such as self-published horror fiction or favorite ghost story books, and allow others to share their titles with you. Join in the fun of creating interesting boards that not only will promote sales, but will also be fun and engaging to others. One last platform to consider when promoting online is Goodreads. Goodreads is a website owned by Amazon that allows individuals to freely search the extensive user-populated database of books, annotations, and reviews. Users can sign up and register books to generate library catalogs and reading lists. They can also create their own groups of book suggestions, surveys/polls, blogs, and discussions. READ THE RULES BEFORE POSTING! Authors who only post promotions and do not participate in discourse in the community will be ejected. https://www.goodreads.com/group/show/742-christian-fiction-devourers This is a Christian community that discusses everything from reading to music to playing games to what makes a book good…and the best part? It’s all clean!! There’s a section for promotion that also offers suggestions on how to promote your book. Additionally, there’s a section for Kindle deals and another for giveaways. https://www.goodreads.com/group/show/72325-christian-books This is a place to discuss and share Christian books online. This group is hosted by Body and Soul Publishing, but Christian authors and readers are invited to post about books that are free via a promotion or giveaway, etc. https://www.goodreads.com/group/show/71740-christian-fiction-bloggers This group is a place for Christian bloggers to share their blogs, giveaways, etc. However, everyone is welcome to join (you don’t have to have a blog). Please keep comments clean (i.e. no swearing, crude language, etc.). This site has boards for sharing reviews, posting giveaways, book deals and, of course, great book discussions. This article is a God-send, as I am struggling to keep myself motivated to finish my debut Christian fiction novel. This blog will help. Who knew this particular genre hahad many readers? I have three or four other novels and/or inspirational Christian writing I am anxious to research and start writing.